Jungut Batu, a village that is more like Poppies Lane. Mushroom Bay, a beaty of port on Nusa Lembongan. when will you visit this island. Dream Beach, The beauty of clean white sand. Yellow Bridge as access to Nusa Ceningan. Gala-Gala Underground Cave House, something unique lifestyle. 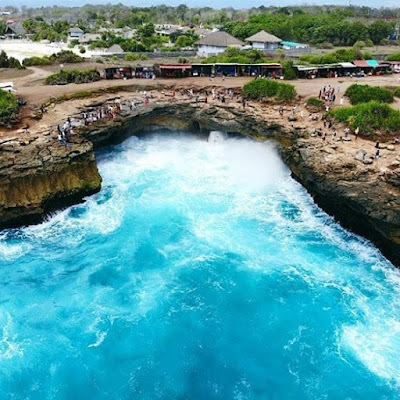 Although it is only a small island, Nusa Lembongan offers a lot of beauty and recreational places that are still rarely visited by local tourists. 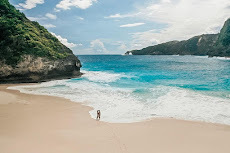 White sand beaches with clear sea and various types of colorful fish and various types of colorful coral reefs are ready to welcome tourists when visiting Nusa Lembongan. This is the main attraction because the beaches are still very clean and maintained. Access to Nusa Lembongan is easy. 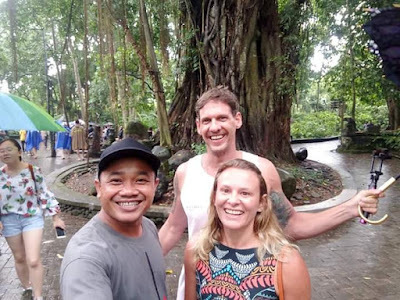 The tourists only need to cross by boat from the Port of Sanur and can choose to pull over at Mushroom Bay or Jungut Batu. 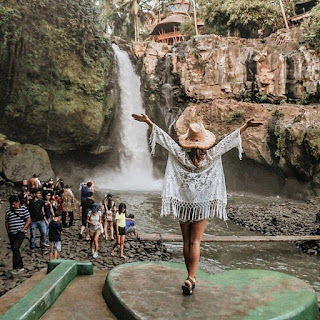 Transportation from and to Nusa Lembongan and Lembongan Village with Bali Island is reached by sea, namely; from and to east Bali via the Tri Buwana - Bias Munjul Ceningan Port line, from and to West Bali via the Sanur Harbor route Denpasar - Tanjung Sanghyang Lembongan Port. 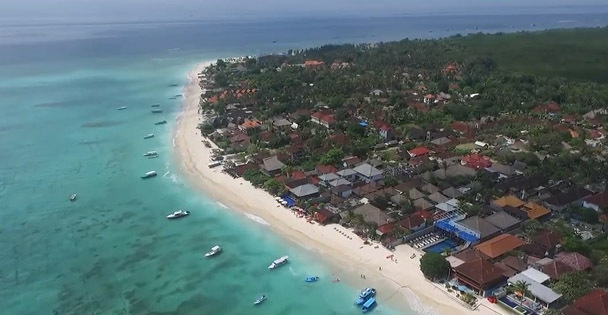 The length of the trip from Sanur to Tanjung Sanghyang Lembongan is around 1.5 to 1.5 hours using jukung (jangolan) and about 30 minutes if using a speed boat. Transportation from and to Lembongan Village is in the morning using jukung, day and evening using a speed boat.